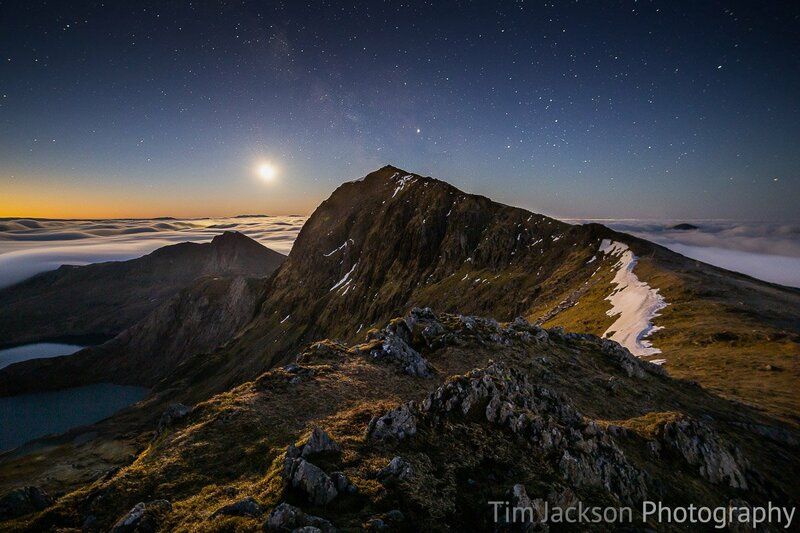 A panoramic view of a Snowdon sunrise. 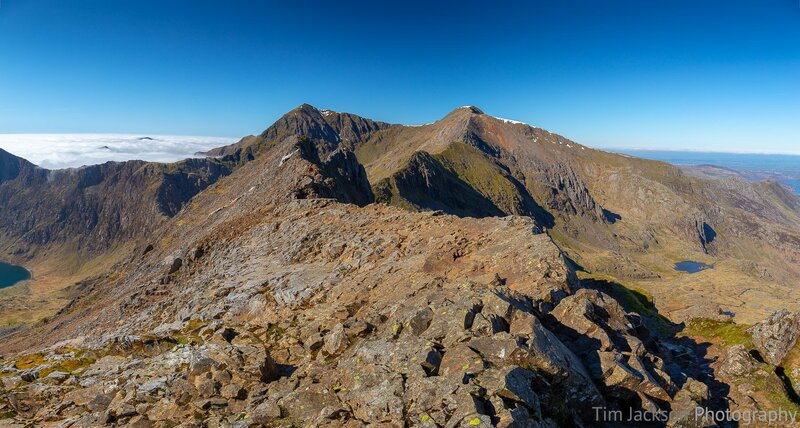 Crib Goch is on the left, Glaslyn and Llyn Llydaw in the centre and the summit of Snowdon on the right. 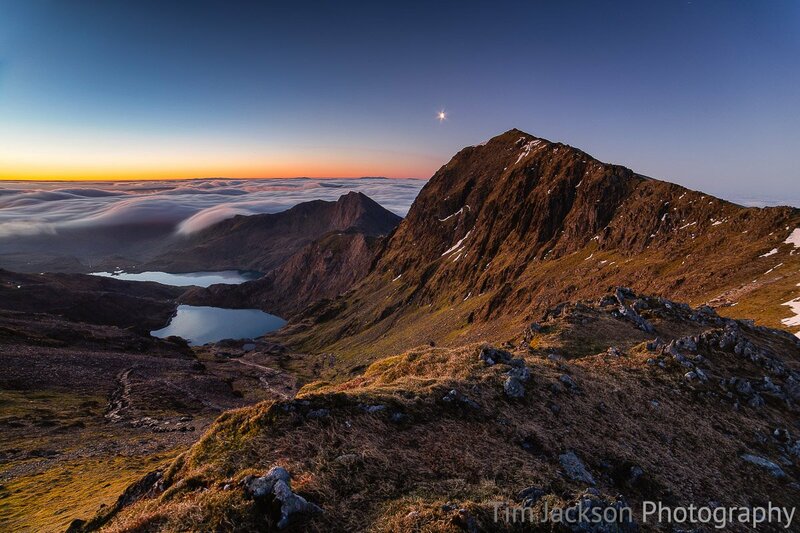 You can buy a photographic print or canvas print of "Snowdon Sunrise Panorama" online here. Similar images may be available or specific images may be commissioned by contacting me.